TCL has been the BlackBerry brand’s global licensee for over two years now and, while sales haven’t been extremely high, the manufacturer confirmed earlier today that it was happy with the brand’s progress. Currently, the majority of BlackBerry customers are everyday consumers, most of which have previously owned BlackBerry-branded smartphones. However, the brand’s primary focus at the moment is enterprise customers, a strategy that is seemingly working. According to BlackBerry Mobile’s general manager, Francois Mahieu, enterprise customers are gradually coming back to the brand, with the banking and government sectors proving to be the biggest source of growth. 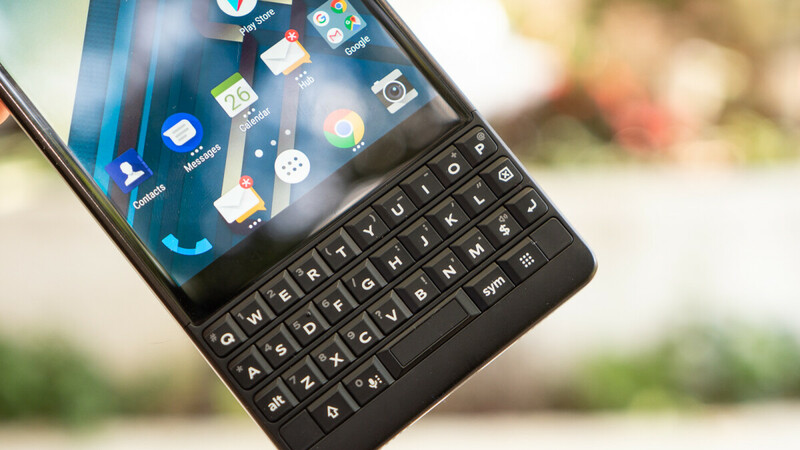 No names were mentioned, but he did state that one “very large” Canadian bank recently adopted the BlackBerry KEY2, while another has added BlackBerry devices to its catalog. Similarly, two provincial governments in Canada have chosen BlackBerry too. In terms of BlackBerry-related announcements, TCL didn’t have anything major up its sleeves for CES other than a partnership with Verizon. However, with MWC 2019 less than two months away, it may not be too long before new BlackBerry smartphones start popping up. First the news about Verizon adopting the Key2 LE for their enterprise customers, and now this welcome surprise, and great news. This definitely proves the detractors and the naysayers wrong. I've said all along that there is a market for those that want a smartphone focused on productivity and privacy, and this proves that. Slow and steady wins the race, and it's great to see that TCL is happy with the performance of their BlackBerry branded smartphones. Kudos to you TCL/BlackBerry Mobile. Looking forward to more BlackBerry branded smartphones. Slow and steady has been the proper attitude for TCL's re-branding of BlackBerry. They're not knocking off Samsung or Huawei any time soon so it's sensible to go after the core customer that once was their bread and butter. To all the haters out there just remember, TCL is happy with the progress and that's all that matters. Exactly. And with TCL being happy, that ensures more BlackBerry branded smartphones in the future. If Enterprise is creeping back they really need to do a refresh of the Priv. At least "that's just my opinion". Lmao! I agree. The PRIV form-factor was great, and allowed for more screen real estate. Yeah, it seemed great on paper. All that sliding is going to take a toll on the device eventually. What if the mechanism breaks? How are you going to type then? Not just great on paper. I still own a PRIV from when it was first released, and the sliding mechanism is still going strong. IF it ever does break, it has a virtual keyboard to type on as well. I wish I still had my PRIV but I sold it because for whatever reason VoLTE and WiFi calling didn't want to function on T-Mobile. But it was really a great phone, if it had been updated to Nougat and VoLTE/WiFi calling was functional I would still be using it right now, Even the audio experience was WAY better than my current Galaxy Note 5! I'll give it that, the audio experience on blackberry devices is great to my understanding. The KeyONE I got last Christmas is just good enough to listen to videos and presentations when I'm out and about. All very positive news for the potential and future of a brand that is coming back from death's door... they are, for at least the most part, putting their efforts in the right places. BlackBerry is becoming an attractive brand once again. I am thankful for that. BlackBerry just made the worst thing ever by abandoning BBOS. ANYWAY we hope them the best but they will stay just a minority in the next 10 years. They had no choice but to abandon it. The so called BlackBerry loyalist like you that complains about BlackBerry going Android are the same ones that were not buying the BB10 smartphones, and many were even staying on BBOS. You can't complain about it going away if the majority didn't support it. And BlackBerry doesn't make smartphones anymore, so you saying that they will remain a minority doesn't make sense. A combination of shrinking marketshare and pricing is what eventually did them in until they eventually went the Android route. It's hard to stay a player when Android and ios exist. I don't think there's any denial that the KeyONE is successful with the enterprise market. I do find it odd that they haven't released any numbers or sales figures or anything. Granted, I think it's an indirect way for them to say that sales of the KeyONE series have been disappointing and I attribute that more to pricing and availability. Pricing is the most obvious one because they definitely priced the KeyONE too close to upper midrange to flagship level pricing. They definitely did so with the KeyTWO pricing it above $600. And then the availability part. The first KeyONE they released was the 32GB 3gb RAM model before they eventually released a better version of that one. That was a stupid move to do and before anyone starts crying, I call out other OEMs that do the same thing as well particularly Motorola with the appropriate priced Moto G phones that have similar specs to the KeyONE, but cost a great deal less. Just my honest opinion.